The Moisture Condition Apparatus (MCA) was originally developed by TRL in the 1970s and has since then been routinely used in Scotland to determine soil acceptability for earthworks at the ground investigation and earthworking stages of a project. 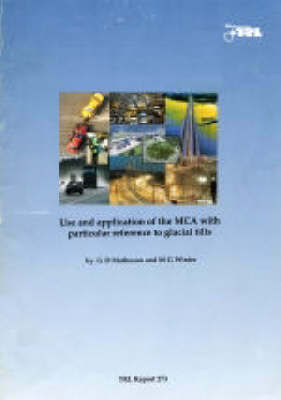 This major revision offers detailed test procedures and extensive guidance on the use and application of MCA. In particular, data interpretation is simplified while retaining the MCA`s advantage in precision over alternative methods of soil acceptability determination.